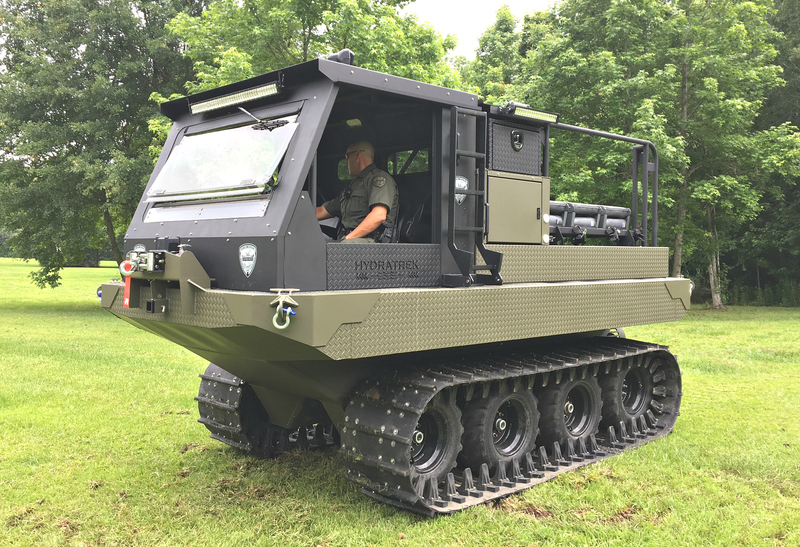 The D2488B amphibious vehicle is the most popular Hydratrek vehicle in the field today. 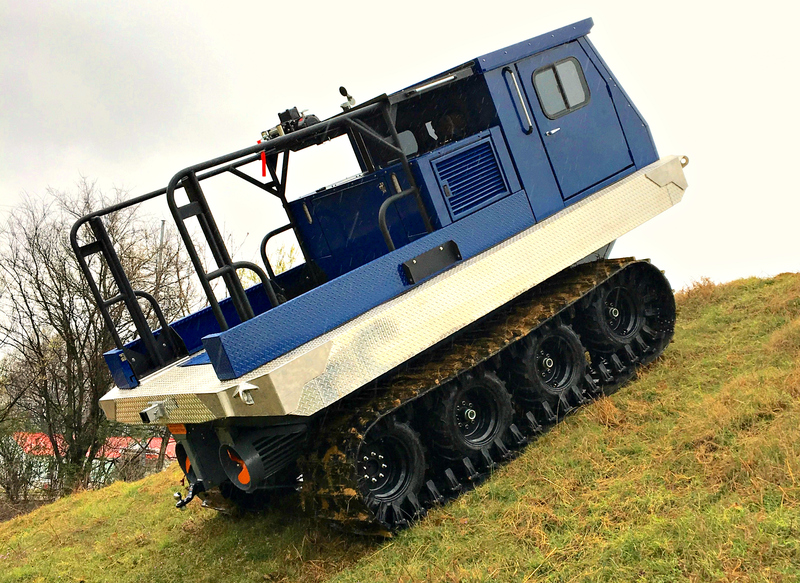 It is designed for the heavy hitters that have wetland projects in the utility, pipeline, survey, seismology, and construction industries. This vehicle is also popular with public safety organizations that routinely deal with the threat of hurricanes or river flooding. 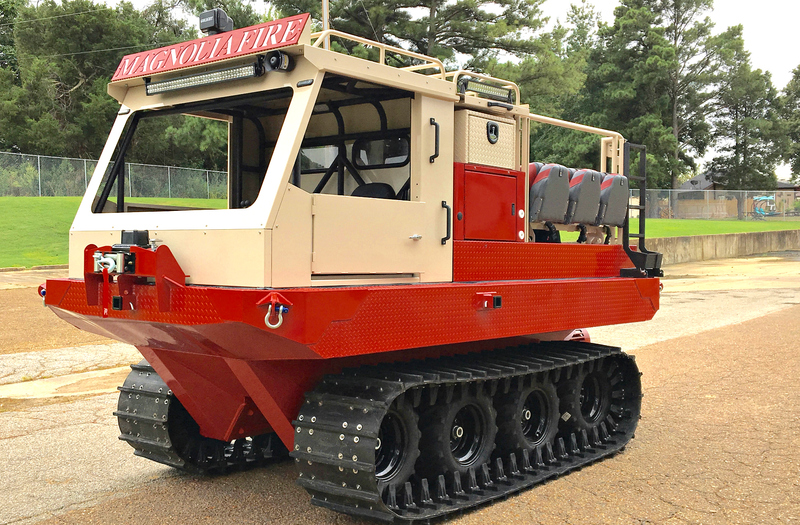 This Hydratrek amphibious vehicle has been used to move people and supplies during the Mississippi River Floods of 2010 & 2011, the Missouri River Flood of 2011, Tropical Storm Lee, Hurricane Joaquin, the Great Baton Rouge Flood, and Hurricane Harvey. 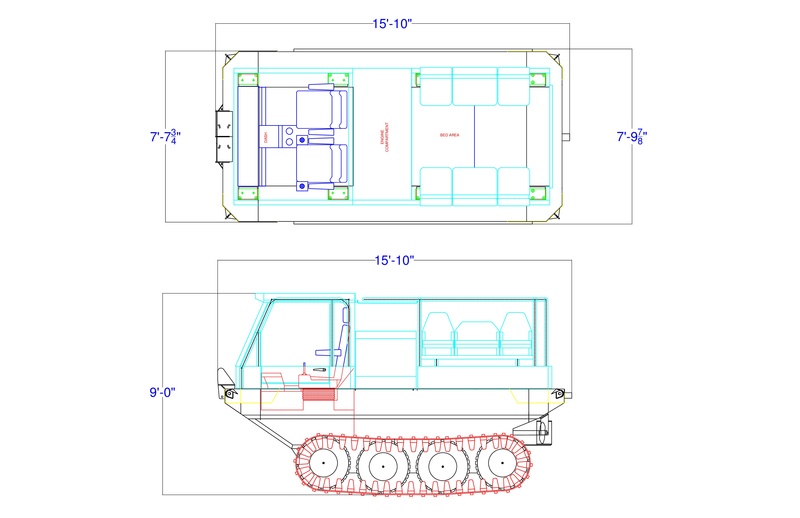 The rear cargo bed allows for material handling and/or personnel carrying. 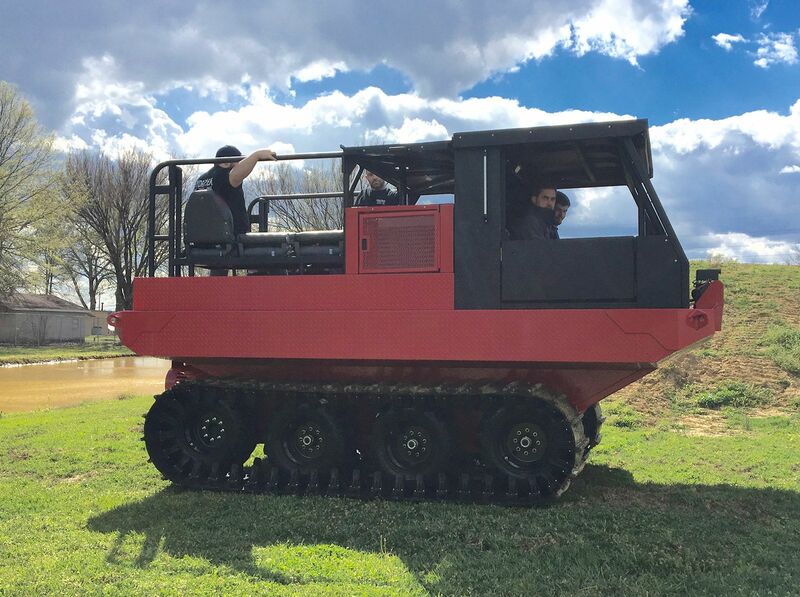 By providing a maximum footprint of less than 2.2 psi, the D2488B amphibious vehicle will perform well in swamps, marshes, snow, and sand. 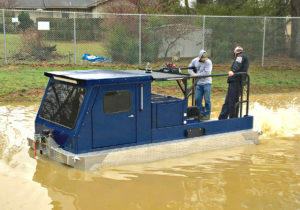 It is powered by a 85 HP turbo-charged Kubota diesel engine (V3600T), and it offers over 8,000 pounds of pulling capacity. 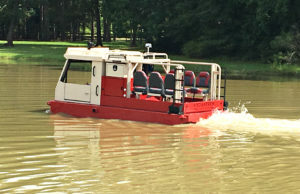 The D2488B is constructed from marine-grade aluminum, operates via a closed-loop hydrostatic drive system, and has two rear propellers for deep water crossings. 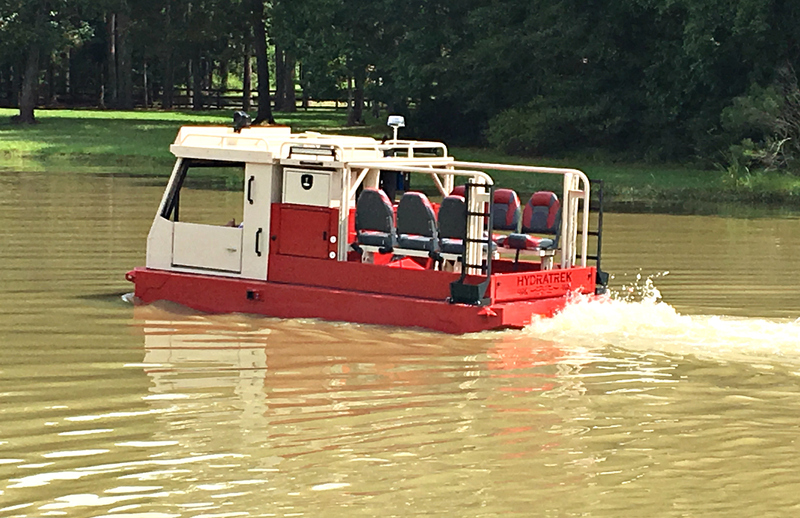 Dual bucket seats in the operator cabin make for a comfortable, smooth ride. 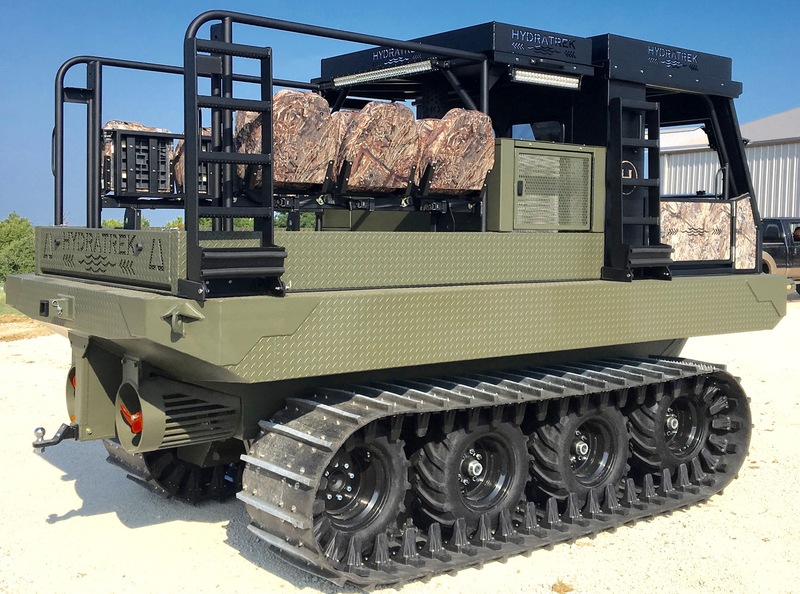 There are two planetary-gear drive motors that provide high torque to the 24″ rubber track system. 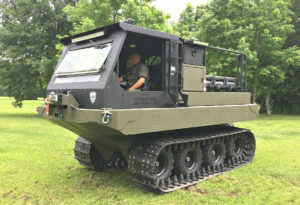 The front 3 tires on each side of the vehicle are bogies or idlers with buddy bearings. Additional options include front or rear mounted electric or hydraulic winch, seating for eight persons, powder coat paint, salt water kit, enclosed cab system with insulation, tie-down points, backup alarm, rear cargo rack, LED emergency lighting, and quick connect hydraulics. 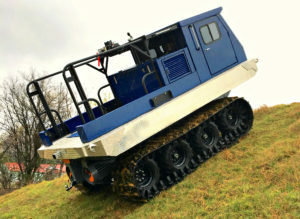 Reasonable custom requests will be considered. Some Hydratrek customers with the D2488B include USFWS, National Grid, Shelby County Sheriff Department, Desoto Parish Sheriff Department, Florida Fish & Wildlife, Louisiana Fisheries and Wildlife, Delmarva Power, Manitoba Hydro, Magnolia VFD, Stan’s Airboat & Marsh Excavating Service, and Minnesota Power.